Capacity from 4 to 150 Tn, stroke up to 16 mm. Two versions: SX for load return, and SMX for spring return. 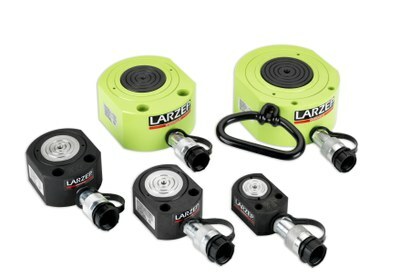 For use in confined spaces: machinery positioning, tool fastening. With two parallel faces for horizontal operation. Mounting bolt holes for easy fixing. Models up to 30 Tn are black nitrated. SX models from 50 to 150 Tn have optional tilting saddle. Also available telescopic model SLX.